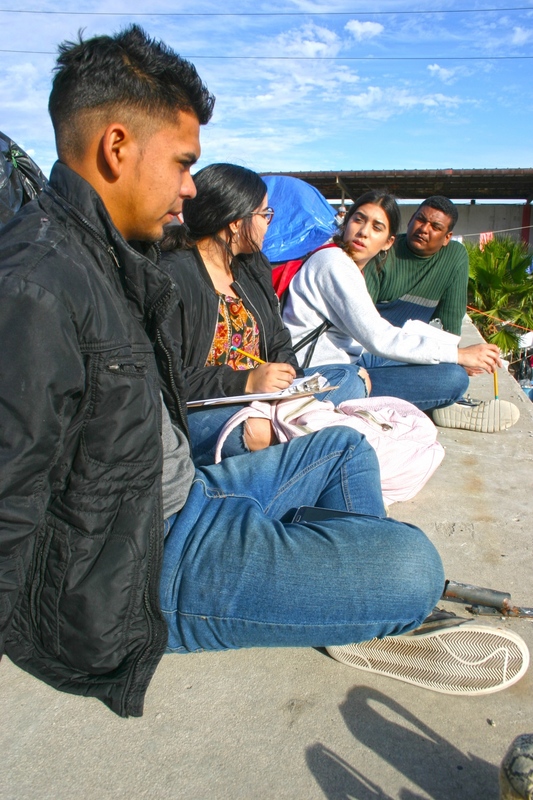 The comings and goings at the entrance of El Barretal the new shelter for Central American refugees in Tijuana, Mexico. 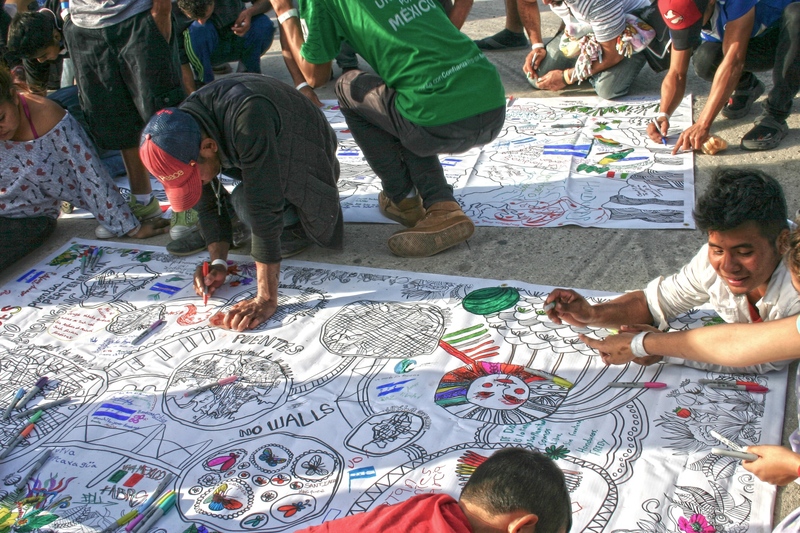 inside the families with children protected area of El Barretal, in Tijuana, Mexico. Inside the families with children protected area at El Barretal, Tijuana, Mexico. 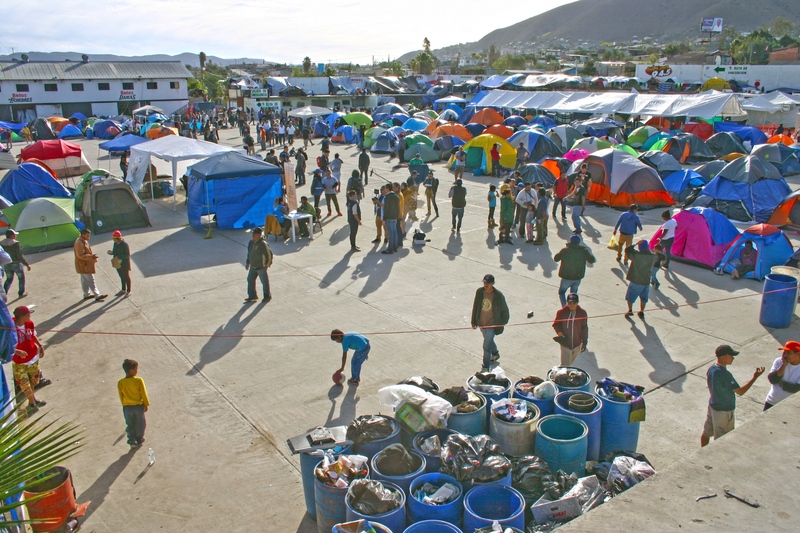 Overview of El Barretal in Tijuana, Mexico. 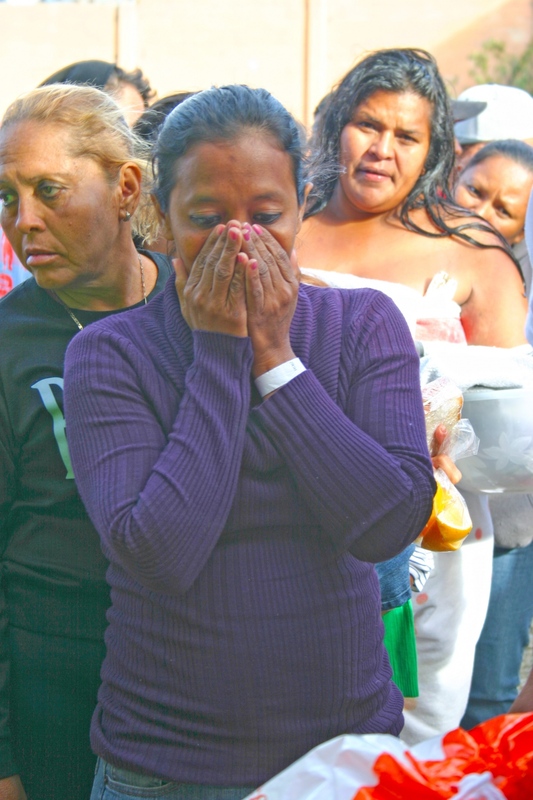 Video: Over 50 families wait in line to receive parcels of hygiene products which contained soap, shampoo, toothbrushes, toothpaste, antibiotic creams, lotions, basics. 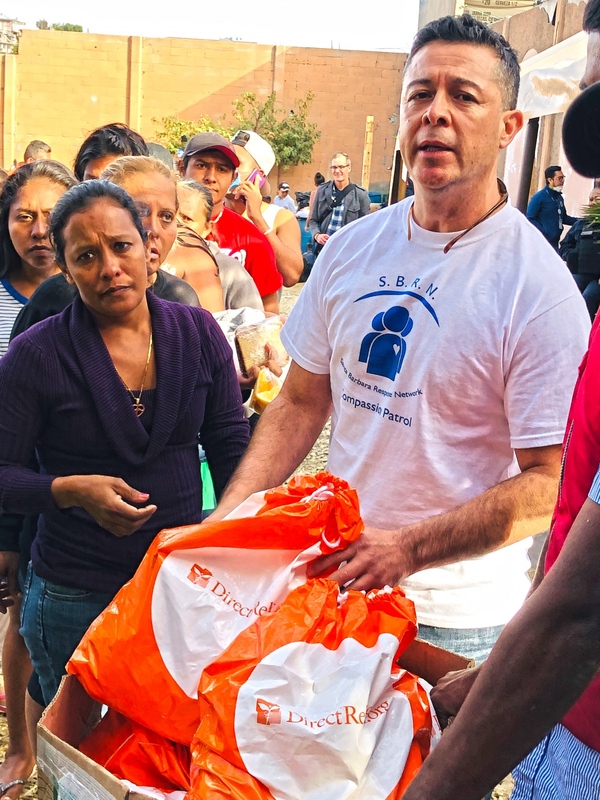 Over 50 families wait in line to receive parcels of hygiene products which contained soap, shampoo, toothbrushes, toothpaste, antibiotic creams, lotions, basics. Video: Over the loudspeaker, an announcement is made announcing the availability of hygiene products. 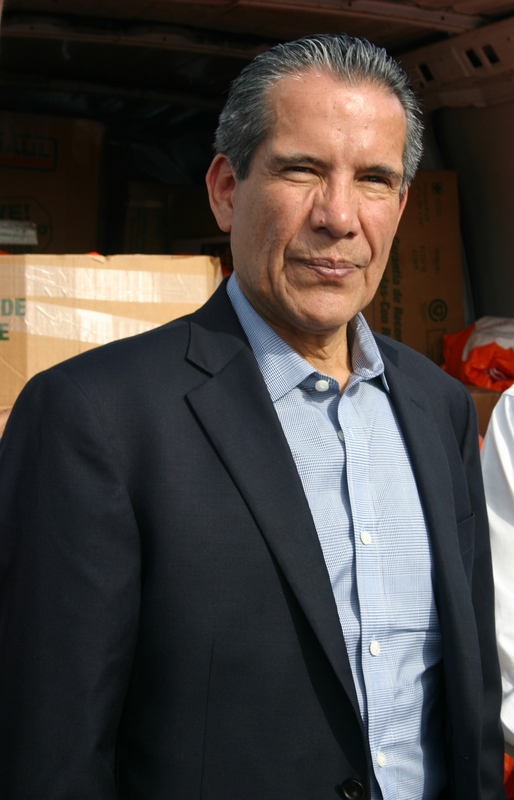 In coordination with the Santa Barbara Response Network and DIF of Mexico; the Consulate of Mexico, Roberto Rodríguez Hernández is pictured with donations provided by Direct Relief of Santa Barbara, California. 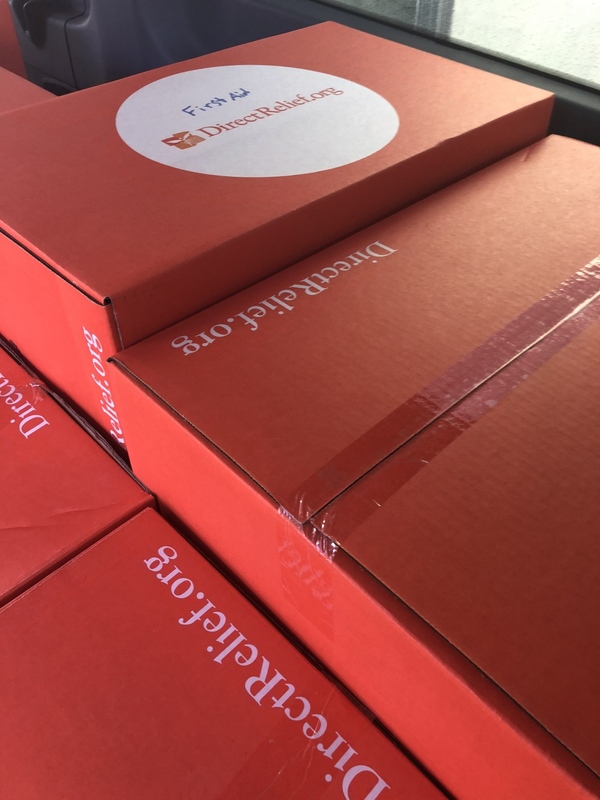 DIF or the Desarrollo Integral de La Familia (Mexico) | or The Program to Assist Families in Mexico in English, secured the delivery of humanitarian assistance to El Barretal. 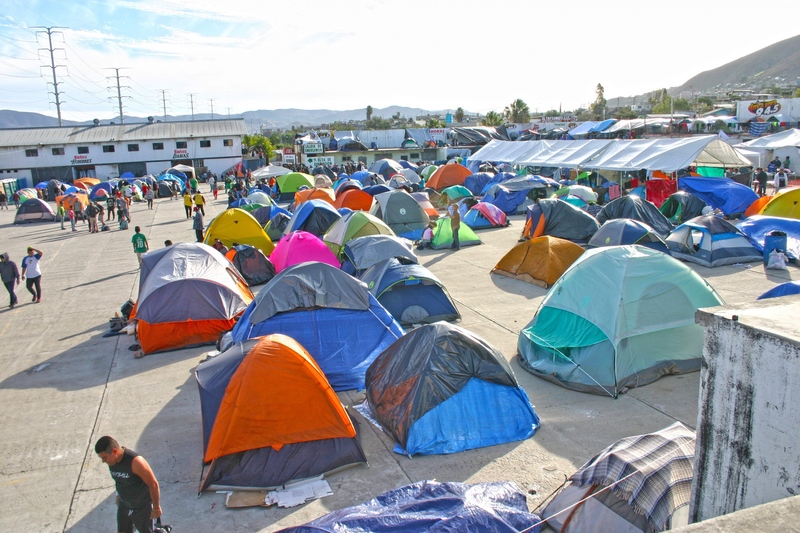 El Barretal is the new shelter for Central American refugees in Tijuana, Mexico. Vertical image: Overall view of El Barretal the newly designated shelter for Central American refugees in Tijuana, Mexico. At rear, bathroom and bathing areas are clearly marked, in addition to emergency exits. 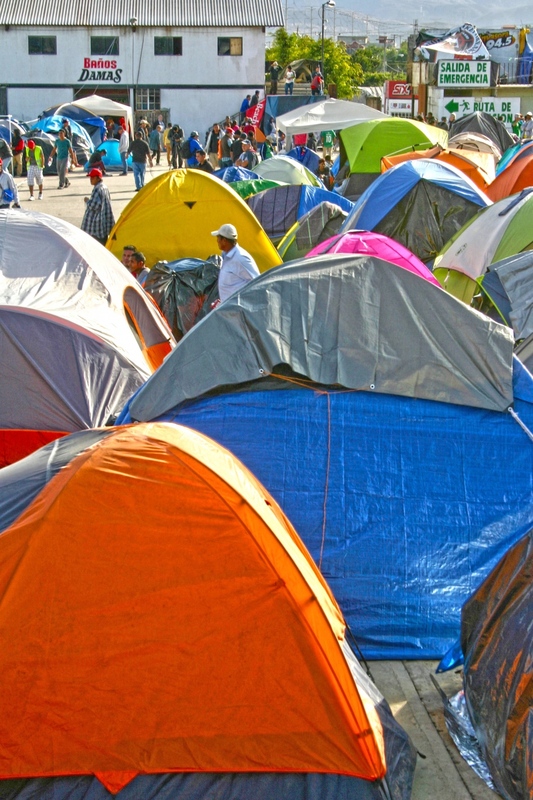 Vertical image: Tents housing Central American refugees, in the general population area of El Barretal in Tijuana, Mexico. 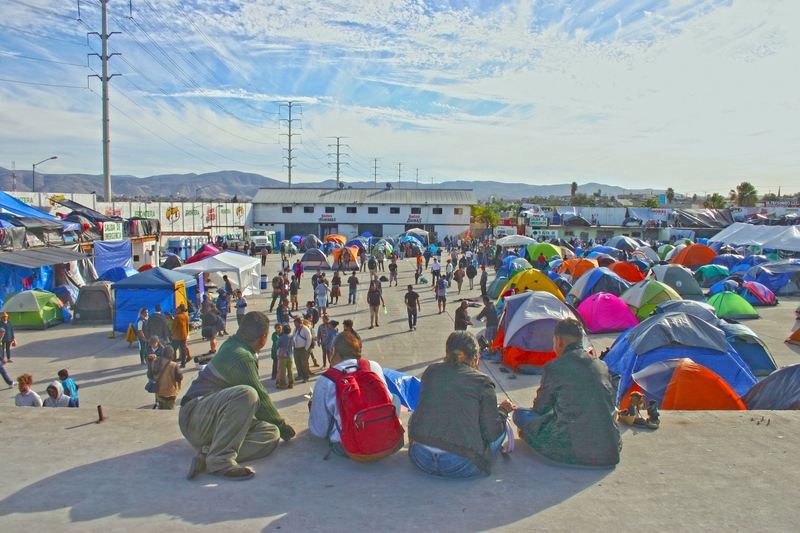 Children playing soccer amid the tents in the general population area of El Barretal in Tijuana, Mexico. 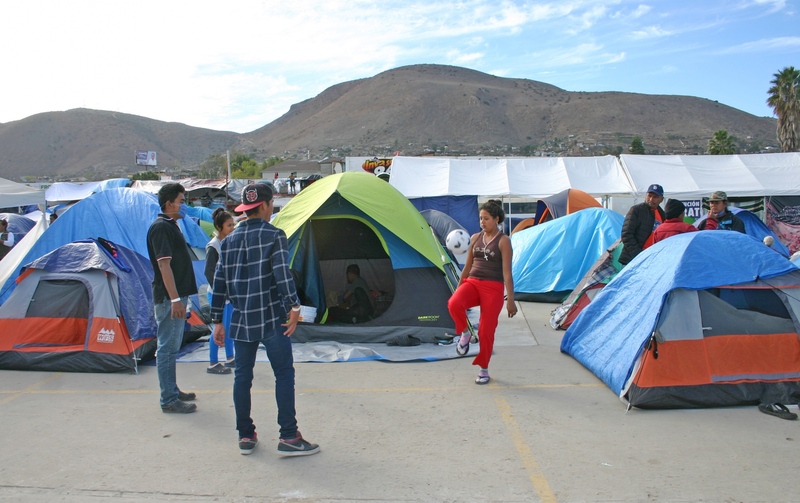 Teens playing soccer amid the tents in the general population area of El Barretal in Tijuana, Mexico. 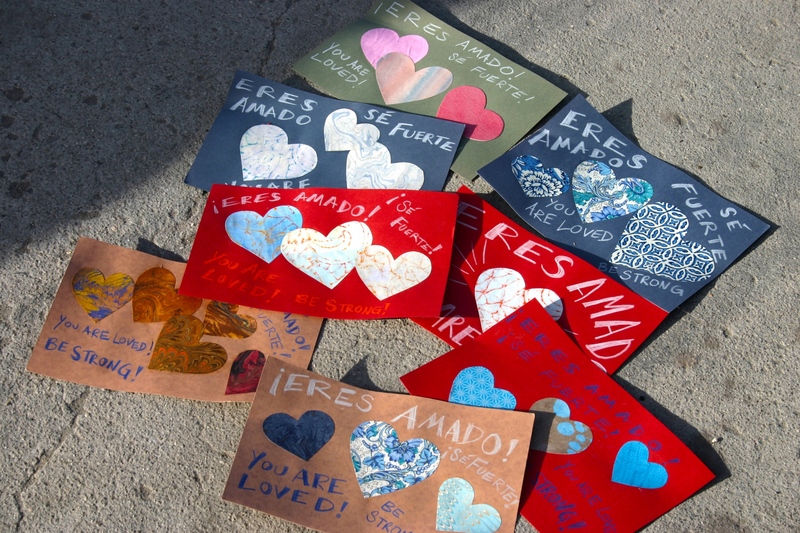 Hand-made cards were inserted in the donation parcels. 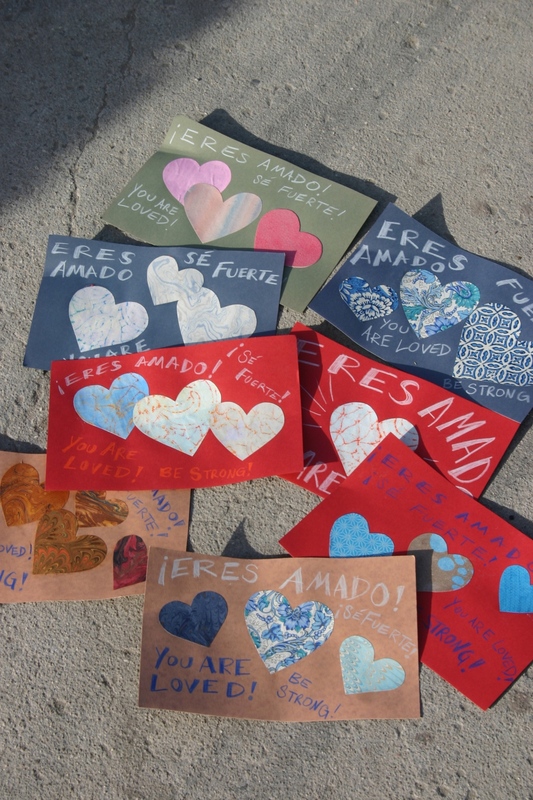 Vertical image: Hand-made cards were inserted in the donation parcels. As of Tuesday December 4th, 2018 there were a total of 2,331 people residing in the covered shelter area designated for families - data provided by the DIF. DIF is the Desarrollo Integral de La Familia (Mexico) | The Program to Assist Families in Mexico. 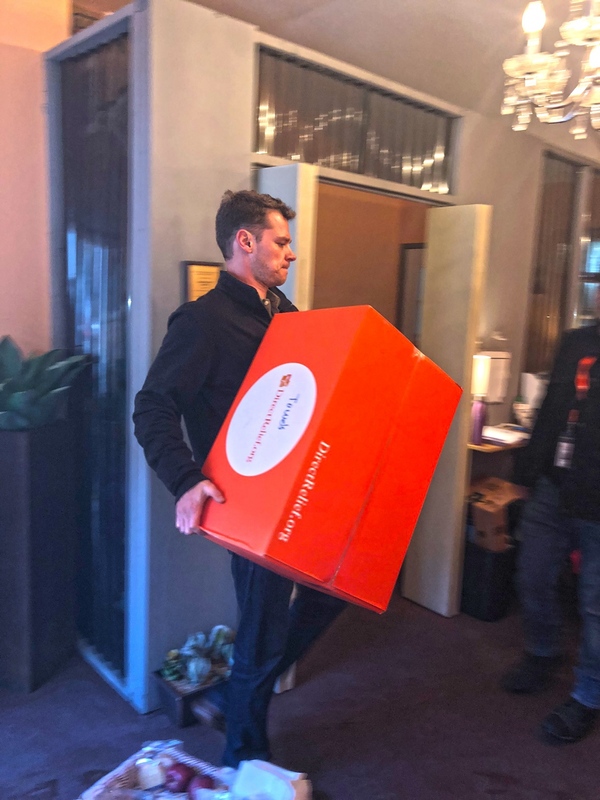 Vertical image: Jesús Landeros a volunteer with the Santa Barbara Rapid Response Network distributes parcels containing hygiene products to family members. The designated family shelter is protected and guarded by police for the protection of children. As of Tuesday December 4th, 2018 there were a total of 2,331 people residing in the covered shelter area designated for families - data provided by the DIF. DIF is the Desarrollo Integral de La Familia (Mexico) | The Program to Assist Families in Mexico. 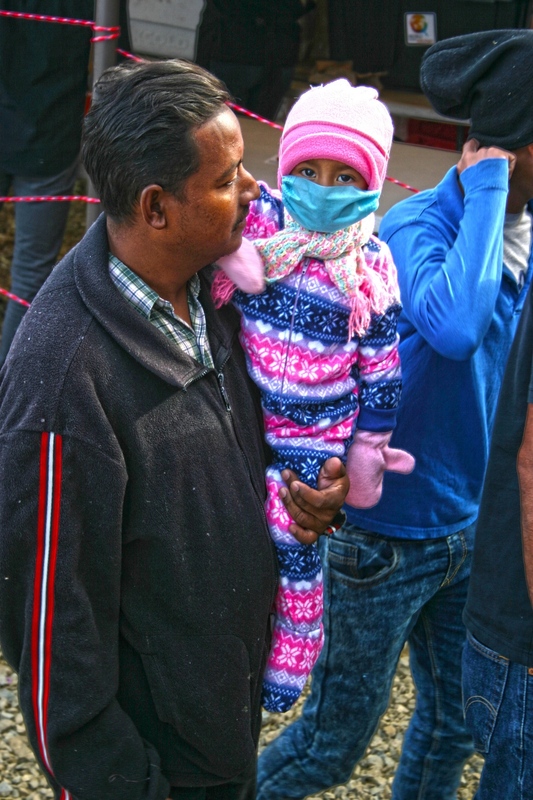 A father and daughter wait in line for hygienic product donations from Direct Relief International in the protected zone designated for families in the newly designated shelter for Central American refugees in Tijuana, Mexico. Mothers wait in line for hygienic product donations from Direct Relief International in the protected zone designated for families in the newly designated shelter for Central American refugees in Tijuana, Mexico. 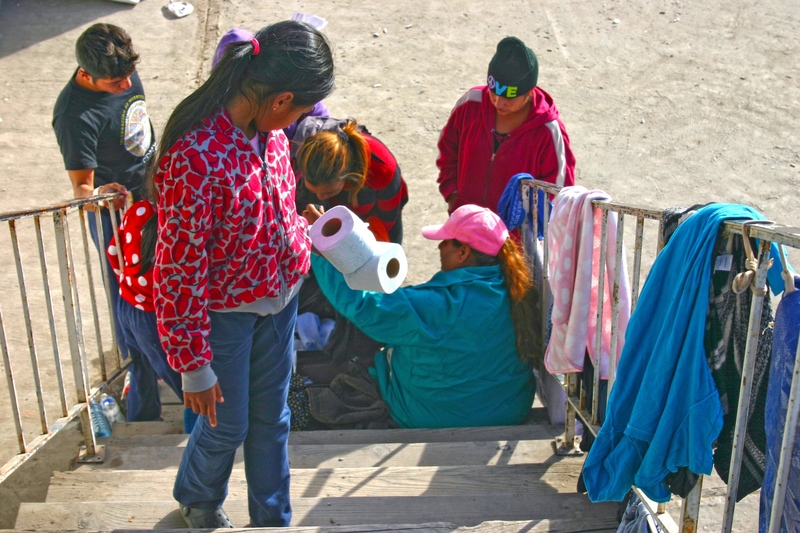 Toliet paper is distributed to refugees at El Barretal in Tijuana, Mexico. 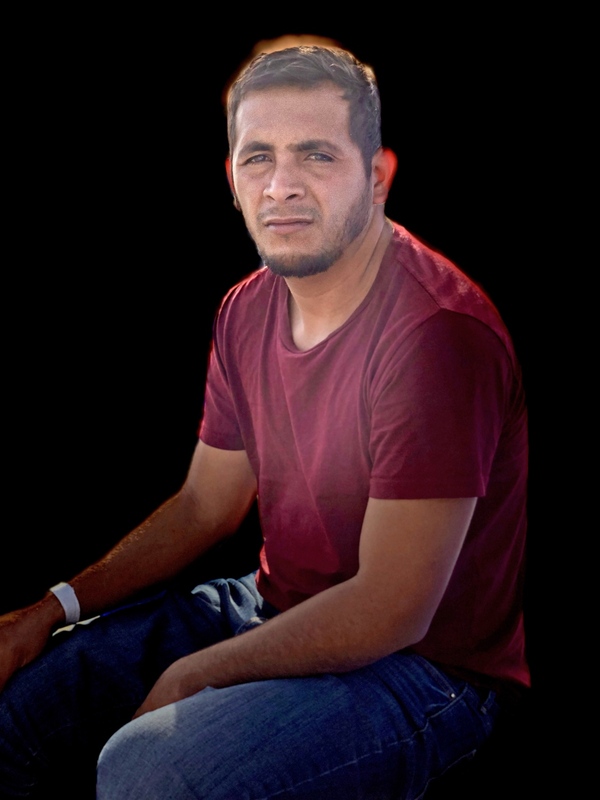 A portrait of Jorge Joyal, 29, a father, from the country of Honduras. Mr. Joyal tells me that he spent between two and three months walking to the border with the hope of coming to the United States. 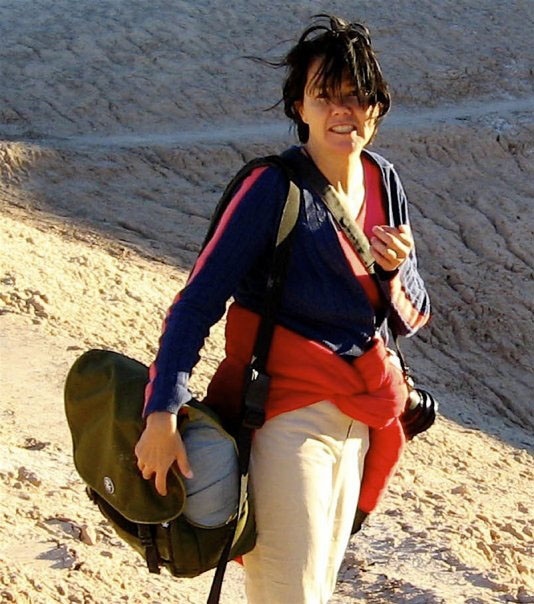 With the assistance of the Mexican government, Mr. Joyal has applied for permission to work at one of the many high-tech companies offering employment assistance to migrants. He has a six-year old daughter waiting for him in Honduras. 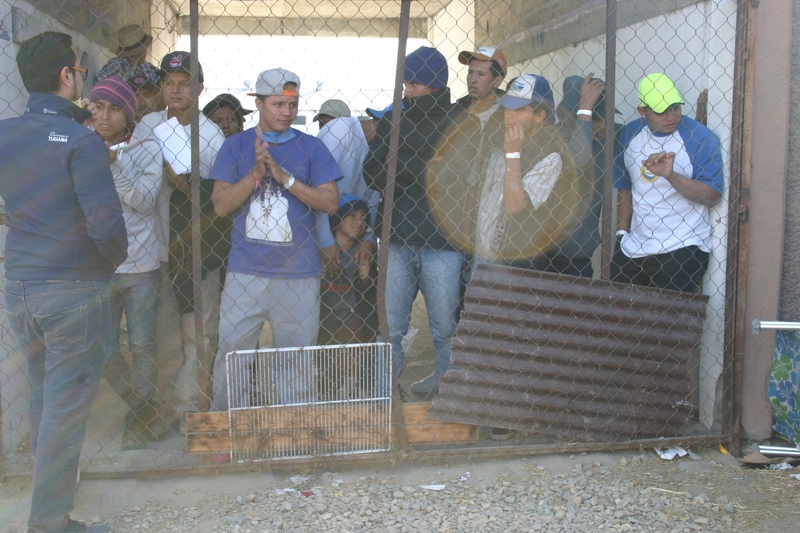 Young men wait behind a fence separating and protecting children and families in the designated family shelter at the new shelter for Central American refugees in Tijuana, Mexico. 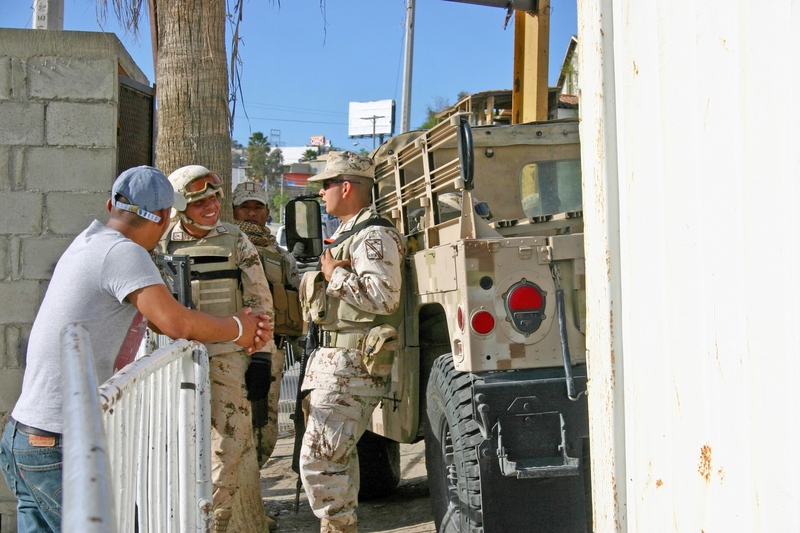 Members of the Mexican military guard El Barretal. 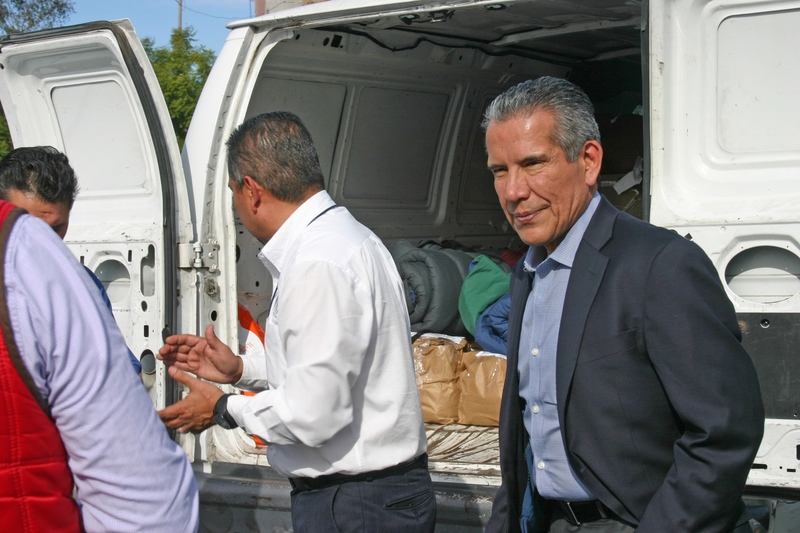 The van of donations is carried by (in foreground) DIF representative Julio Alberto.DIF is the Desarrollo Integral de La Familia (Mexico) | The Program to Assist Families in Mexico. Dan Hovey, Emergency Preparedness & Response Manager. 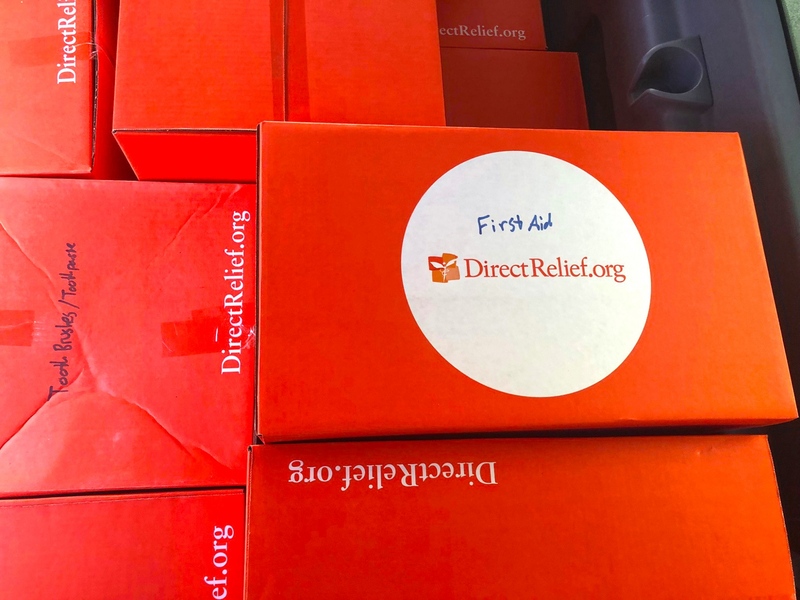 with Direct Relief International delivers donations of hygienic products to the Santa Barbara Rapid Response Network scheduled for El Barretal, the new shelter for Central American refugees in Tijuana, Mexico. 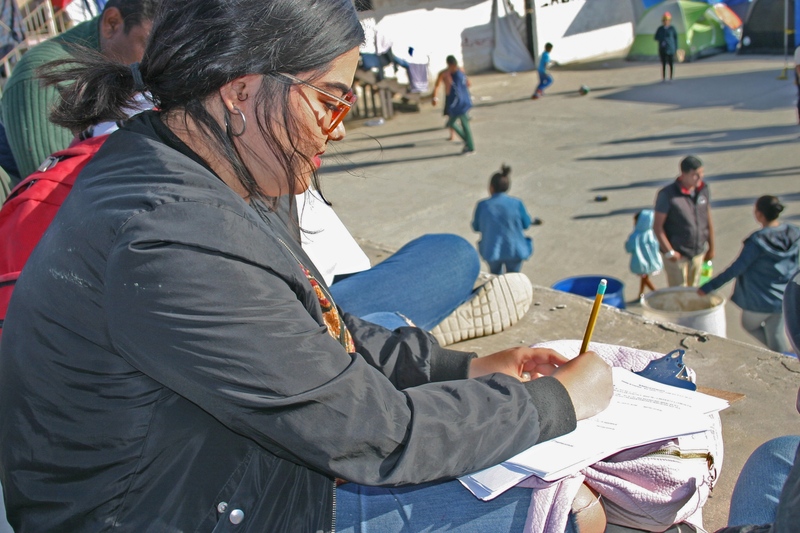 Under the supervision of DIF or the DIF is the Desarrollo Integral de La Familia (Mexico) | The Program to Assist Families in Mexico, donations are brought to the family shelter. 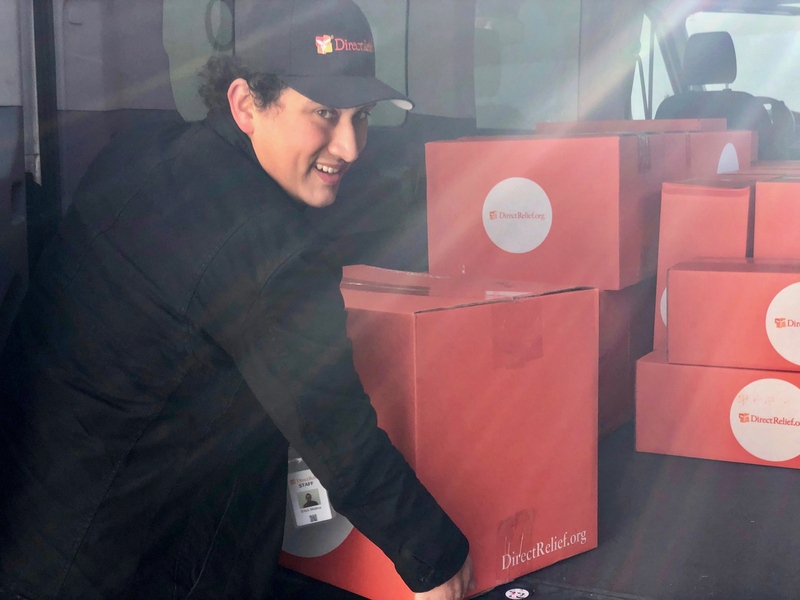 Erick Molina, Program Operations Coordinator, with Direct Relief International delivers donations of hygienic products to the Santa Barbara Rapid Response Network scheduled for El Barretal, the new shelter for Central American refugees in Tijuana, Mexico. 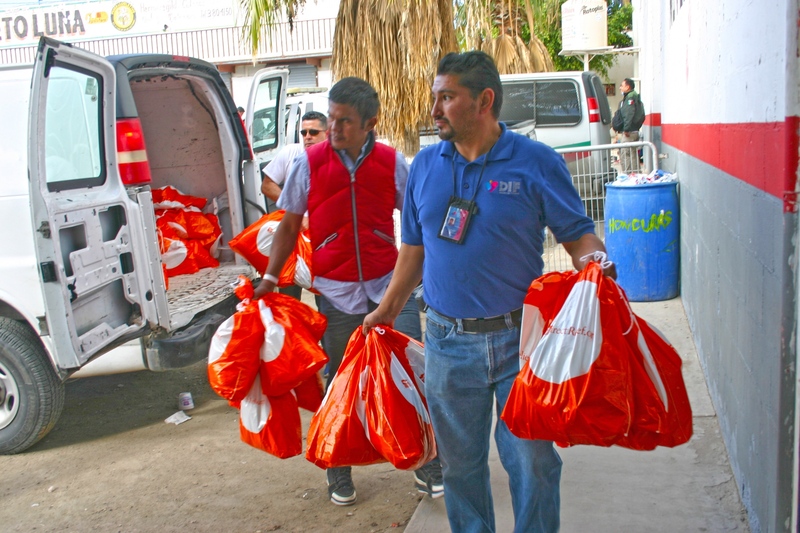 Vertical format: Donations made by Direct Relief International arrive to the Santa Barbara Rapid Response Network scheduled for El Barretal, the new shelter for Central American refugees in Tijuana, Mexico. 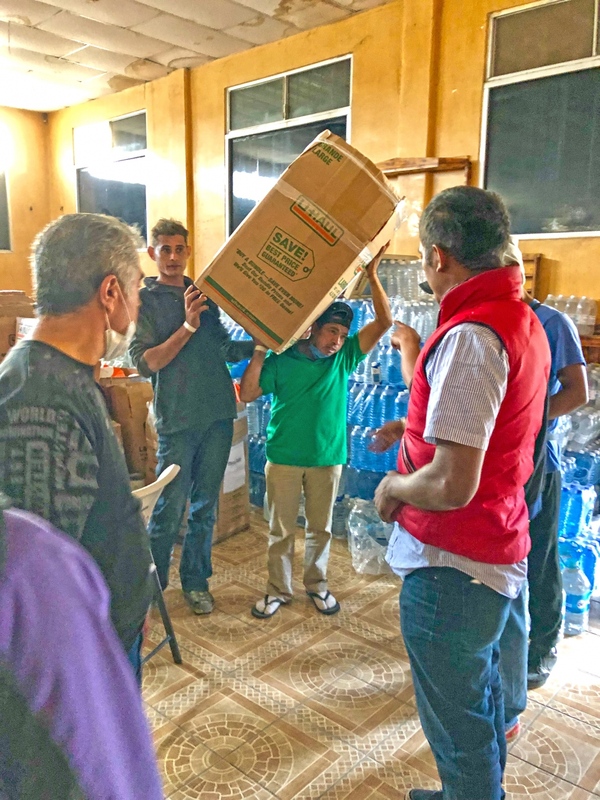 In coordination with the Santa Barbara Response Network and DIF of Mexico; the Consulate of Mexico, Roberto Rodríguez Hernández is pictured with donations provided by a wave of individual community donors, and Direct Relief of Santa Barbara, California. 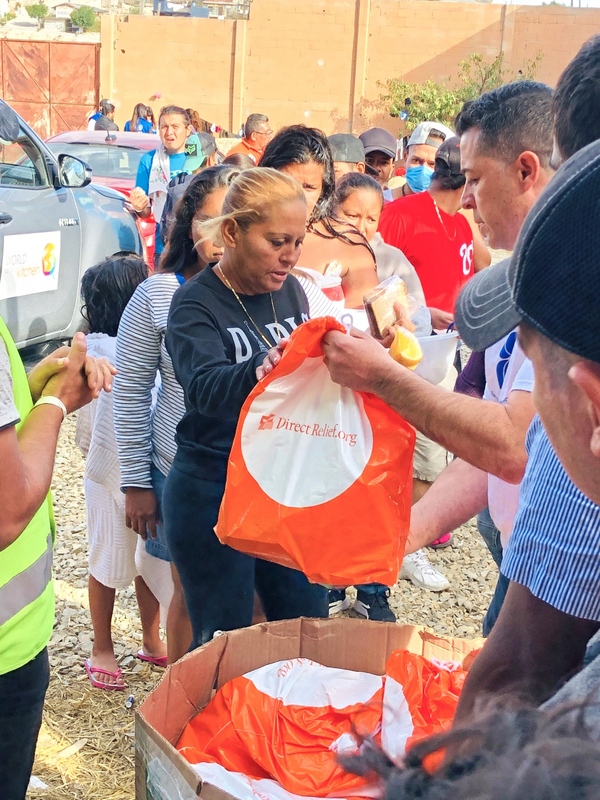 DIF or the Desarrollo Integral de La Familia (Mexico) | or The Program to Assist Families in Mexico in English, secured the delivery of humanitarian assistance to El Barretal. 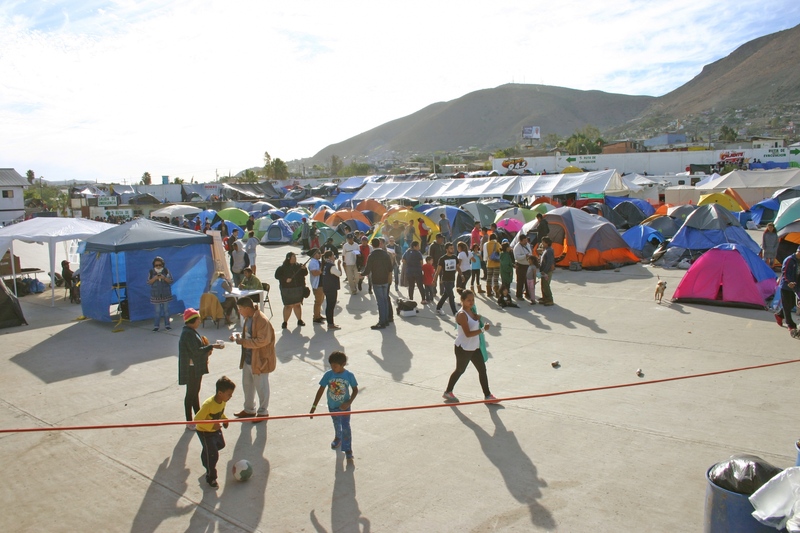 El Barretal is the new shelter for Central American refugees in Tijuana, Mexico. 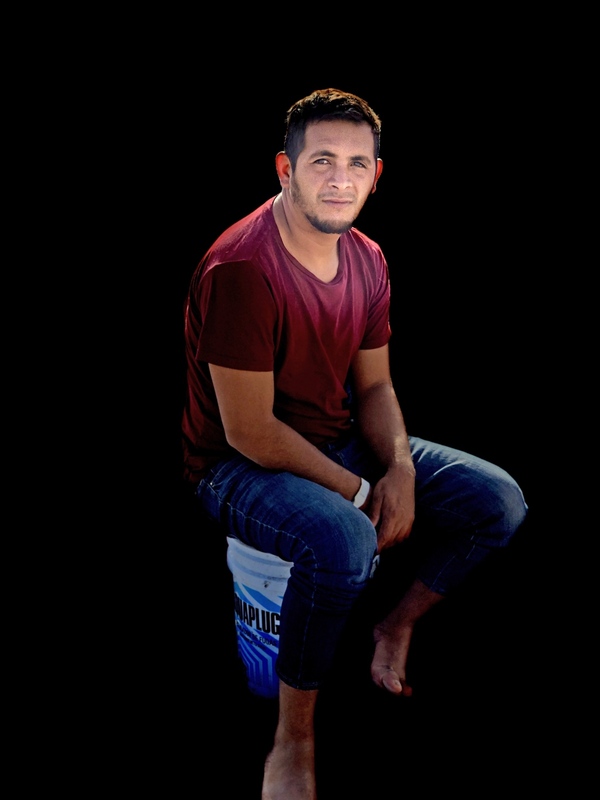 In a portrait Jorge Joyal, 29 of Honduras spent between two and three months walking to the border with the hopes of coming to the United States. With the assistance of the Mexican government, Mr. Joyal has applied for permission to work at one of the many high-tech companies offering employment assistance to migrants. He has a six-year old daughter waiting for him in Honduras. 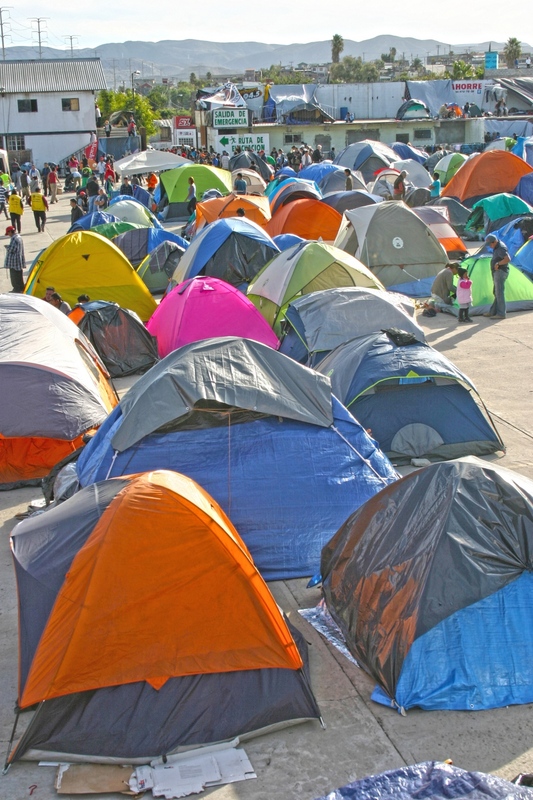 As of Tuesday December 4th, 2018 a total of 2,331 people were residing in the covered shelter area designated for families - with children. This data was provided by DIF. "13 AGs are filing an amicus brief today to challenge the Trump administration’s efforts to restrict applications by immigrants seeking asylum. This is a de-facto denial of asylum. It is illegal, it is inhumane, and it must end. 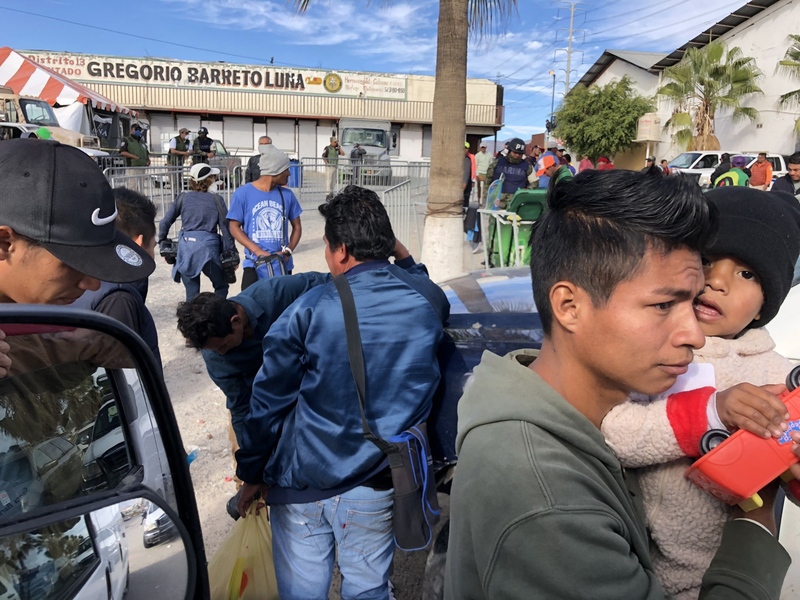 More than 6000 Central American immigrants, including over 1000 kids, are stranded outside CA’s ports of entry waiting to present their asylum claims. They are living outside in extreme weather, without access to basic services, so that they can have a chance at a better life." "The president “may not rewrite the immigration laws to impose a condition that Congress has expressly forbidden”, the judge said in his order." “Just as we may not, as we are often reminded, ‘legislate from the bench’, neither may the Executive legislate from the Oval Office,” Judge Jay Bybee, a George W Bush nominee, wrote for the majority." Today "Judge Emmet Sullivan struck down the policy for being contrary to the Immigration and Nationality Act, the Refugee Act, and the Administrative Procedure Act. 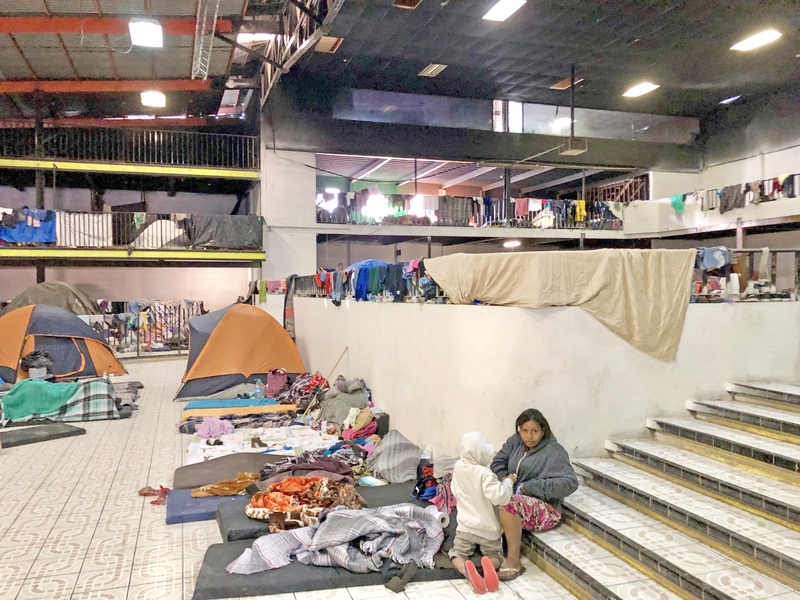 As part of the injunction, **the court ordered the government to bring our plaintiffs who were wrongfully removed under this policy back to the United States so that they can pursue their asylum claims."